This cleanroom mop is designed for all critical cleanroom surfaces allowing the operator to clean ceilings, walls and floors with ease. The system offers a patent-pending mop head with 360° swivel and an ultra-lightweight telescoping handle. 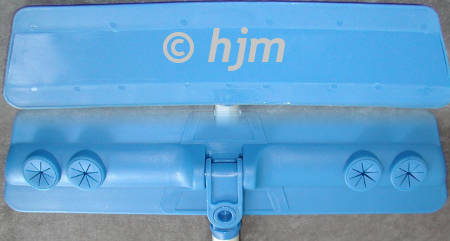 Mop frame size: 3,75" x 16"
RRMOP416C Mop with head holder and handle 1 pc. RRMOPK853ST Polyester mop, sterile 1 pc. RRMOPV420 Handle extension, 90 cm 1 pc.